Genre fiction continues to make inroads into what Western readers would consider to be “literature”. Recall Jacek Dukaj’s winning of the European Literary Award for “Lód” (Ice) in 2009. If Dukaj hasn’t won another such award since then, it’s only because he hasn’t produced another epic along the same lines, his latest release (2011) being a short story collection called “Król Bólu”(King of Pain). I’m admittedly being a bit disingenuous here, because “Król Bólu” received the Polish 2011 SFinks (Sphinx) Award. While Dukaj is published by the prestigious Wydawnictwo Literackie (Literary Publishing House), the intersection of literature with genre is also being produced by publisher Fabryka Słów (Word Factory), another imprint to look out for on the Polish bookshelves. Fabryka Słów continues to publish Andrzej Pilipiuk, whose latest release “Aparatus” (2011) is a short story anthology combining fantasy and horror elements and centering around an alternate history set in the first half of the twentieth century and based in a universe of his own making. This continues a trend that appears to have dominated Polish fiction for the past decade and points to a sustained reading audience for reworkings of Poland’s past. While Pilipiuk mines the past two centuries for new takes and tropes in fiction, Dariusz Domagalski is an author who prefers to set his occult historical fantasy series in the fifteenth century, at a time that pitted Poles and Lithuanians against the Germanic Crusaders. His 2011 release, “I niechaj cisza wznieci wojne” (Let the silence ignite the war), is the fourth in this series. If the boys seem to be focused on fantasy, it falls to the women to take a harder focus in genre. The best known of Polish female genre writers is Maja Lidia Kossakowska, whose 2011 release, “Grillbar Galaktyka”(Galactic Grillbar) is a gonzo sf murder mystery that, as the name suggests, roams the entire galaxy in both expanse and time. And, stepping ahead slightly, Magdalena Kozak has a 2012 release to look out for – “Nikt” (Nobody) – continuing her series that combines the military with paranormal elements. In general, however, the last decade of Polish genre fiction is, and continues to be, dominated by fantasy and fantasy mash-ups (i.e. fantasy + horror, fantasy + history, etc.). We have yet to see another Stanisław Lem emerge, with his clean – one might say almost clinical – approach to fiction, and preference to set his stories far into the future where there could be no historical ambiguities dogging the narrative. In summary, for 2011, historical fantasy remained the name of the game and will continue to do so, unless the women start moving into overdrive. Here’s hoping. 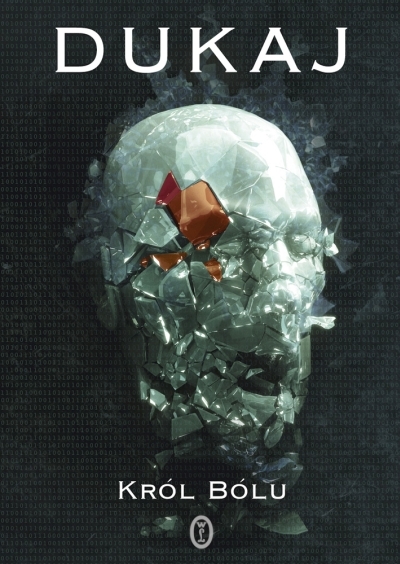 * KS “Kaz” Augustin is a Malaysian-based writer of mostly space opera. Her website is at http://www.ksaugustin.com She also writes a south-east Asian-based urban fantasy series under the pen-name Cara d’Bastian (http://www.CheckYourLuckAgency.com). What is the State of Black Science Fiction? Polish SF is not lost yet. It is fact that during last decade Polish speculative fiction is dominated by mashups of fantasy, urban fantasy ,horror and historical fiction (I call it “new weird without artistic ambition”). Howewer, some important SF books were published last year. “Vatran Auraio” by Marek S. Huberath (the author of transleted into English “The Greater Punishment” ) is a story of small group colonist on a hostile planet. They live in a agricultural community, they lost almost all knowledge and their bodies transformed (e.g. they became oviparous). The novel is accompanied by two short stories (“Mika Ivanna”, “The Quiet, Sunny Nest Site”) set in the same world, where space gauchos travel through the galaxy using animals, space-whales called “the cyvuts”. Beautiful prose full of cultural and religious references and magnificent world-building. In last months of 2011 Powergraph Publishing House published two SF anthologies. “Lem’s Voices” honour Stanislaw Lem the most important Polish SF writer in the 20th century. Second one is titled “Science Fiction”. Both contain short sotories written by important modern writers (Majka, Miszczak, Podrzucki, Nowak, Zbierzchowski, Cyran, Protasiuk and others). The longest text of “Science Fiction” is “Science Fiction” written by Jacek Dukaj. It is SF story about SF which protagonist is fictional SF author Edward Caldwell. It makes 4xSF in one story. Sebastian Uznanski, known for his new weird novel “The repentance for Tomorrow”, published “Herrenvolk”. It is a Science Fiction novel about man moved in time to 1940s who becomes prisoner of nazi regime and starts dangerous game with German military intelligence. Another intersting author is Janusz Cyran. Since his debut in 1980s he writes only short stories. His latest collection, “The theory of the devil and other speculation” is a psychological cyberpunk. Hm, are we talking about the same universe? 😉 In 2011 in Poland we had, for example, “Science Fiction” and “Głos Lema” (“Lem’s Voice”) – two science fiction anthologies with short stories of younger (Piskorski, Nowak, Miszczak, Majka, Zbierzchowski) and more experienced authors (Podrzucki, Cyran, Kosik, Protasiuk and the Dukaj himself). (The second one was inspired of Lem’s writing). There was also Janusz Cyran’s “Teoria diabła” (“Theory of the Devil”) – collection of post-cyberpunk, mind blowed short stories. Or Marek S. Huberath’s “Vatran Auraio” – novel of polish science fiction superstar, telling about planet with small colony of the terrestrials living in totally diferent ecosystem. Interesting was also “Krawędź czasu” (“The Edge of the Time”) of Krzysztof Piskorski – clocwork-punk with clock-precise plot. That’s examples that’s first come to mind. I don’t suppose any of these have been translated into English? I’m affraid this article is very shallow and has only little in common with current situation on Polish speculative fiction market. “Nikt” was published 2 or 3 years ago, it just get another edition. It seems to me, that the author of the article read mostly books by Fabryka Słów and has no idea about such publishing houses like, for example, Powergraph or Runa. Actually, what was the rule by which K.S.Augustin chose the books to discuss Polish SF/fantasy in 2011? There were many others published that time, and IMO better, as it is already pointed out in previous comments. Did she choose them by the best-seller statistics or sth similar? Or by some kind of a random pick?… The set described above is, well, not that representative. I concur with Marcin Zwierzchowski. Powergraph published 2 great anthologies (“The Voice of Lem” and “Science Fiction”) and Runa had 2 mind-bending novels – “The Edge of Time” by Krzysztof Piskorski (already mentioned above) and “Last Will of Damocles” by Marcin Wełnicki. Also, I agree with PolishReader. Dukaj’s novels are mindblowing. Try to think of Dukaj as the European Greg Egan on steroids, with better literary style. This also isn’t true. We have Rafał Kosik or Wawrzyniec Podrzucki. And “Yggdrasil”, mentioned by Antavos, is absolutely brilliant. If you want a proper article about Polish SF, please ask somebody, who actually reads in Polsih, and reads a lot, because there is much going one right now. Though I must stress I was quite surprised when I saw this article on World SF, even if it contains some incorrect data. Don’t forget Polish SF scene is terra incognita for the western world and little is known what is going on here. Yes, I agree. But what’s the use of an article that is incorect? It’s XXI century, the age of facebook – if somebody needs to contact somebody, it’s as easy as buying a pepsi. For example, when SF Signal did something simmilar, they’ve contacted Jerzy from “Nowa Fantastyka”. Jeff VanderMeer does this for “Locus”, but he asks his friends from around the world to write. If you do something, do it good. I think the author has only seen two of Polish publishing houses publishing sf&f. Of which ‘Fabryka Słów’ publications are generally pulp. And yes, Jacek Dukaj is, as some commentators previously stated, is really state-of-the-art, as far as sf goes. One of the Dukaj’s short stories has been published in The Dedalus Book of Polish Fantasy anthology, two more has already been translated, but they haven’t been published yet. Marcin Zwierzchowski – remember, this is a blog; semi-professional, still evolving. Don’t be so harsh. 🙂 Show some enthusiasm. Thank you for all your comments I’m glad this piece encouraged discussion and plenty of additional information. We always welcome contributions to the blog, so if you’d like to contribute a different take on Polish SF/F – or anything else for that matter! – please drop us a line at worldsfblog@gmail.com and we would be delighted to run it. Yes, this only covers a couple of years because that was the brief and it is not comprehensive because that would have taken up several thousands of words that I did not have. It was also never meant to be fully comprehensive or a retrospective of a decade, say. And, I’m sorry to say, none that I looked at are available in English, which is a crying shame. It is also very very personal because I was deliberately looking for the women in Polish sf and, in fact, corresponded with a number of Polish friends in order to boost this report. I make no apologies for such a bias, considering that sf — as a genre — often takes the alternate; that is, a bias towards male writers. On Rafał Kosik’s web side You can find summary of his books, both for teenagers and adult readers. For this first is “Felix, Net & Nika” series, bestselling in Poland since many years. And for the second one – “Mars”, “Vertical” or “Chameleon”. Take a look here: http://rafalkosik.com/?cat=21 or here: http://www.powergraph.pl/rafal-kosik-en or here: http://powergraph.pl/wp-content/files/download/Felix_Net_and_Nika.pdf. On Powergraph’s www You can also find something about their early and recent publishing (http://www.powergraph.pl/english/books/). (For example: Ericson-or-Martin-like fantasy “The Stories of the Meekhan Marches. North – South”, “The New is Coming” – anthology of young promising authors, and others; but it’s not the newest list of titles 😉 ). I am buoyed by the enthusiasm of those who have commented here. On the Western side of the fence, the “demise of science fiction” is heralded every couple of years but I think that Polish sf&f is in fine fighting fettle 🙂 and I would especially like to single out the football fan like verve of most of the commenters. I can’t wait to see what the next couple of years brings! And I reiterate, it is a SHAME that we’re not seeing the vast majority of these books translated into English. They would do much to revitalise Anglo sf. I’ll chime in since this article is getting so much attention. When you continue the retrospective, could you go into a bit more detail about the characters, setting and so forth if you can? More than the genre, if it’s possible. The back cover blurb would rock, but I imagine they aren’t easy to obtain.